Have confidence in your nutrition protocol because it is based on published scientific research (references included in your report) and tailored to your individual needs. 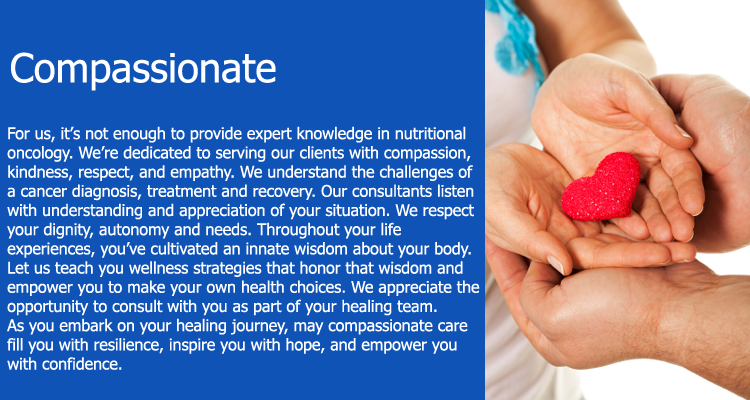 Let us EMPOWER you with effective, evidence-based strategies, INSPIRE you to make changes that will nourish your health and GUIDE you on your healing journey. Cancer cells don't exist in isolation, they're infuenced by the environment within the body. 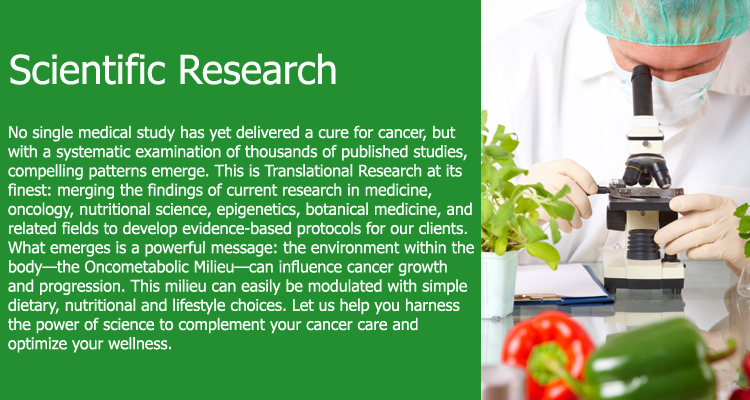 The Oncometabolic Milieu is a cluster of nutritional, metabolic and hormonal factors that interact with cancer cells. Discover simple nutritional strategies to shift your oncometabolic landscape so it's less favorable for cancer growth and progression. If the foods you ate could turn off the expression of your cancer genes (and turn on “tumor suppressor” genes), what would you have for dinner? Indeed, with every meal—3 times a day, day after day—you are talking to your genes. Let us teach you how to steer the conversation toward wellness! 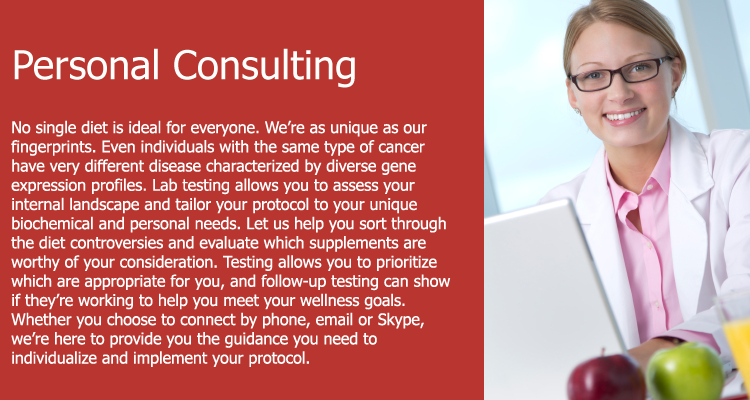 Need immediate help for the side effects of your cancer treatments? Call our hotline for assistance. There's no wait time for an appointment. We can help you find support strategies that have documented benefit in published research studies., . . .
Did you know your protein requirement doubles during treatment and that eating enough protein can help protect your blood counts? Would you like to know which nutrients sensitize cancer cells to the killing effects of radiation and chemotherapy?